Cutting Speed 2000-2500 Pouch Per Hr. Incepted in the year 1970, at Delhi (India), we, National Machinery Works, are considered as the significant entities involved in manufacturing and exporting the best quality Creasing Machine, Eyelet Punching Machine, Paper Ruling Machine, Half Sticker Cutting Machines, Wire O Locking Machine Apart from this we also engaged in trading of File Eyelet. By inculcating the latest machines and technologies, we fabricate these machines from high-grade factor inputs that are procured from the most reliable vendors of the market. The offered assortment is highly demanded by our clients for its consistent performance, optimum efficiency, long service life and corrosion resistance. Machines offered by us are available in various sizes and dimensions as per the variegated needs of clients. 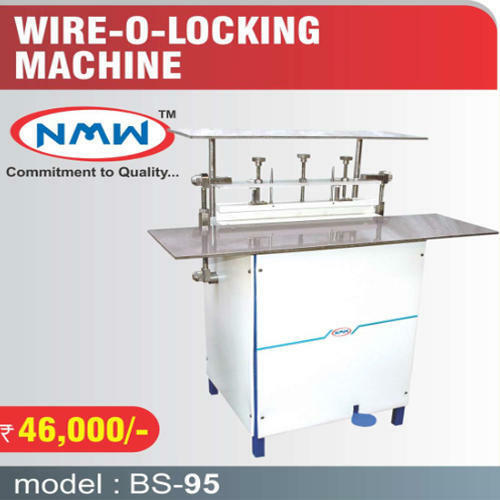 Customers can avail the offered machines from us at market leading rates.